As our search for the first round of Athletes in Excellence continues, we have extended the deadline for nominations through August 31st! The Athletes in Excellence award recognizes those elite athletes who are dedicated to both their sport and their community. These athletes embrace their position as role models and initiate positive change in their local and global communities. If this sounds like an athlete you know, please tell us about them! Email your nomination to awards@globalsportsdevelopment.org, and describe why you think they should become one of GSD’s Athletes in Excellence. Five domestic and 5 international athletes will be awarded with a grant of $10,000. Learn more about the Athletes in Excellence award in this brief interview featuring GSD Executive Board Member, Dr. Steven Ungerleider, and Nicole Bennett of Around the Rings. When it comes to protecting ourselves from the sun, we typically think clothing and sunscreen are our best bets. While many of us wear sunglasses for comfort to shield the glare of sunlight, they actually could be saving our eyes! It’s not all doom and gloom for the eyes. Just like with our skin, we can take protective measures to keep our eyes healthy. Sunglasses – They should be durable and guard against both UVA and UVB radiation. Bonus points for glasses which are polarized (this eliminates glare) and also protect against HEV light. Hats – Wide-brimmed hats protect our eyes and the skin on our face. 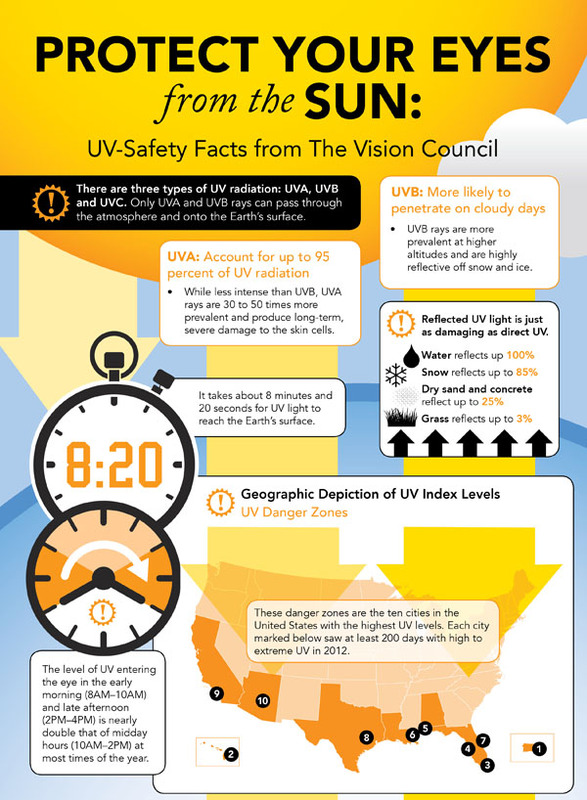 Even with contact lenses that offer UV protection, sunglasses are still recommended. Clouds do not sufficiently shield the sun from our eyes, and all preventive measures should be taken on clear and cloudy days alike. Since snow and water surfaces reflect UV rays back into our eyes, we experience double exposure. When doing winter or water sports, take extra precaution and use sufficient protective gear. GSD is dedicated to identifying and enacting new approaches that target and benefit disadvantaged youth from around the world. For further details on GSD and a complete list of their champion ambassador team, please visit GSD’s website athttp://www.globalsportsdevelopment.org. OUCH! Chances are, you are familiar with the painful sting that comes with spending too much time in the sun. Sunburns are common and the pain goes away, but they can cause permanent damage to skin and increase your chances of skin cancer. Selecting the right sunscreen can help prevent a sunburn and reduce the associated risks. According to the Skin Cancer Foundation, melanoma accounts for up to 3% of all pediatric cancers. And while 90% of pediatric melanoma cases occur in patients between the ages of 10 and 19, diagnosis and treatment is delayed in up to 40% of pediatric melanoma cases. This steady growth indicates a need for improved prevention. 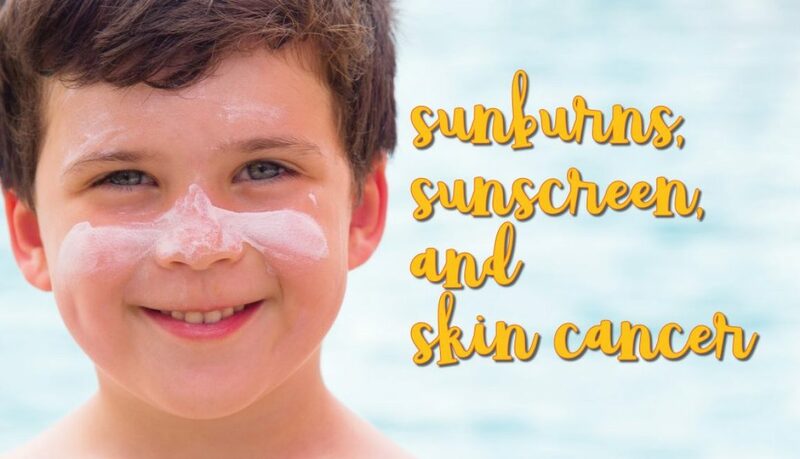 A recent study published in the Cancer Epidemiology, Biomarkers & Prevention journal showed that people who experienced five or more blistering sunburns between ages 15 and 20 had an 80 percent higher melanoma risk. Sunburns, caused by UVB rays which damage the skin’s cellular DNA, greatly increase the risk of melanoma. The simplest and most effective way to reduce your chances of developing melanoma or other skin cancers is to protect your skin from the sun. When shopping for sunscreen, it can be overwhelming to choose which bottle is best for your needs. To equip you better in making your decisions, we’ve listed a few quick tips and facts about sunscreen. Broad Spectrum – This is the kind of sunscreen you want to buy, as it will protect you from both UVA and UVB rays. 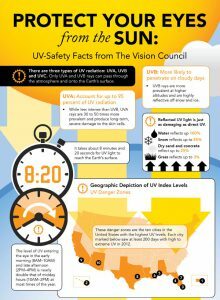 UVA (Ultraviolet A) are extremely prevalent on the Earth’s surface and penetrate the skin beyond the outermost skin surface into the “basal epidermis” layer of skin. Cumulative exposure to UVA rays can cause the beginnings of skin cancer in this layer. UVB (Ultraviolet B) rays have a shorter wavelength than UVA rays, and so while they do not penetrate the skin as deeply as UVA rays, they pack a stronger punch. UVB rays are often the culprit in sunburns, which indicate that your skin has been damaged. A “Broad Spectrum” sunscreen protects against BOTH of these types of sun radiation. What is SPF? Sun Protection Factor. Some people are under the misconception that “SPF 70” means that sunscreen is twice as strong and protective as “SPF 35.” Really, the number in an SPF rating indicates how long a person can be in the sun (while using that particular sunscreen) without reddening. It is compared with how long it would take you to sunburn without sunscreen. With an SPF 15, you can stay outside in the sun 15 times longer without reddening than you would if you had not used sunscreen at all. What is UPF? 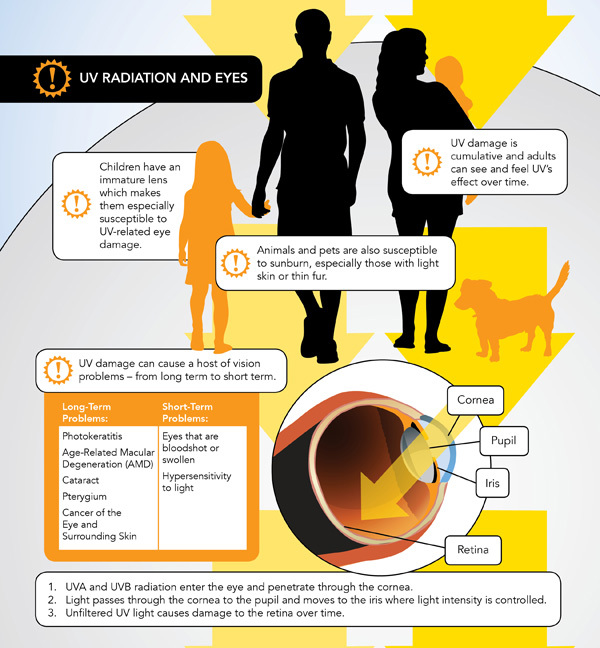 Ultraviolet Protection Factor. This measures something completely different from SPF. The UPF measures the UV protection provided by fabrics, and the highest UPF rating is 50. The number 50 indicates that only 1/50th of the UV radiation reaching the surface of the shirt passes through — keeping out 49/50ths or 98% of the UV radiation. Water Resistant – It is important to understand that NO sunscreens are “water proof.” For a sunscreen to be considered “water resistant,” it must be able to maintain its SPF even after 40 minutes of water immersion, and especially resistant forms of sunscreen can work after up to 80 minutes in the water. Recently the FDA changed the sunscreen labeling requirements, so companies must indicate how long a water resistant sunscreen is effective. How to Apply Sunscreen – This may seem obvious, but how many times have you gotten sunburned despite using sunscreen? For it to be most effective, sunscreen should be applied to all bare areas of skin thirty minutes prior to sun exposure. This allows time for it to penetrate the inner layers of skin. It is also a best practice to reapply sunscreen every two hours. Young athletes tend to have their mind in one place during sporting practice and competition — the game! So it’s up to the adults to make sure the kids and teens are proactive to prevent sunburns. Since the sun’s rays are strongest during the hours of 10-4, it’s best if athletes can practice or play outside of those times. If not, then they should seek well-shaded spots or wear UV protective clothing (with a UPF of 30 or higher). Other important gear items can include hats and sunglasses (read more about why eye protection is so important). And of course, water resistant sunscreen with an SPF of 30 or higher should always be on your checklist. Join our “Fun in the Sun” Photo Contest! Submit photos of you or your family having a great time outdoors this summer, and you could win up to $300 in gift cards to Sports Authority! Submit your photos July 15-31. Voting begins August 1 and ends August 8th. All voting will take place on our Facebook page, under the “Fun in the Sun” tab, so be sure to tell all of your friends to vote for your photo and increase your chances of winning prizes. Must be 18 years of age or older to enter contest. See our Terms and Conditions here.